Enjoy this post. 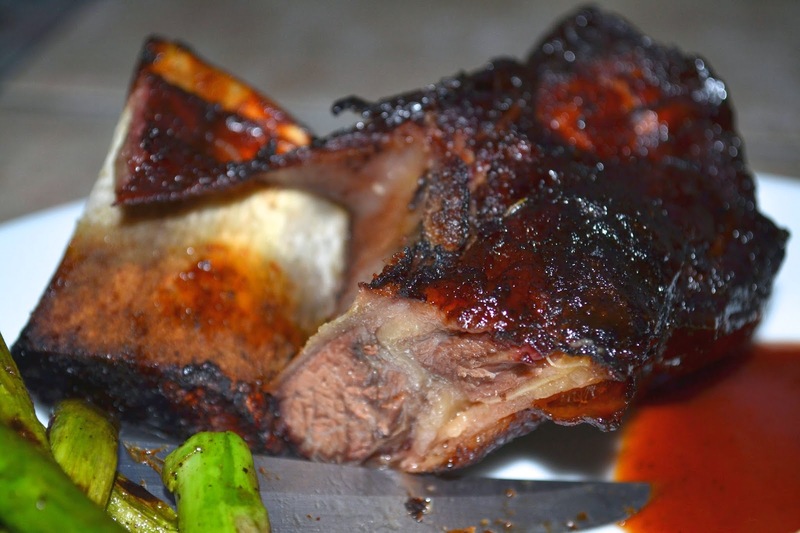 Please read it because the short rib is journey folks and this post is the first mile of the trip. However, when it is time for you make yours, click here and follow the updated entirely new post. 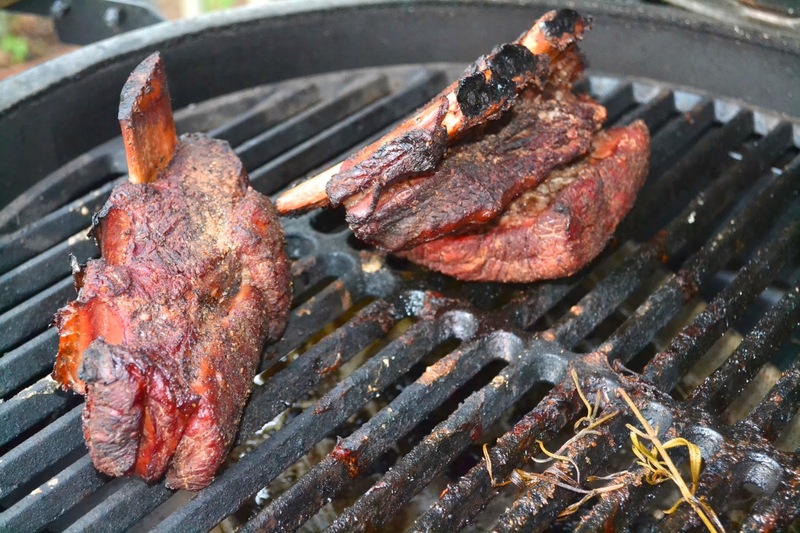 The update is big beef ribs - Dino Ribs. Indirect heat with a pan of water/apple vinegar. Dear Lord, I know you are busy taking care of the those that are truly in need and I am aware that our founding fathers spoke of us never praying for our own needs but for the needs of others but please oh good and merciful Lord, just this once, can you please help me make a short rib that approaches the goodness of the famous Fox Bros. beef short rib. Amen. Although my prayers were not answered on the first attempt. Read the black text for the step by step on my first go around and then the red text for updates on my second attempt. I've eaten at Fox Bros BBQ. 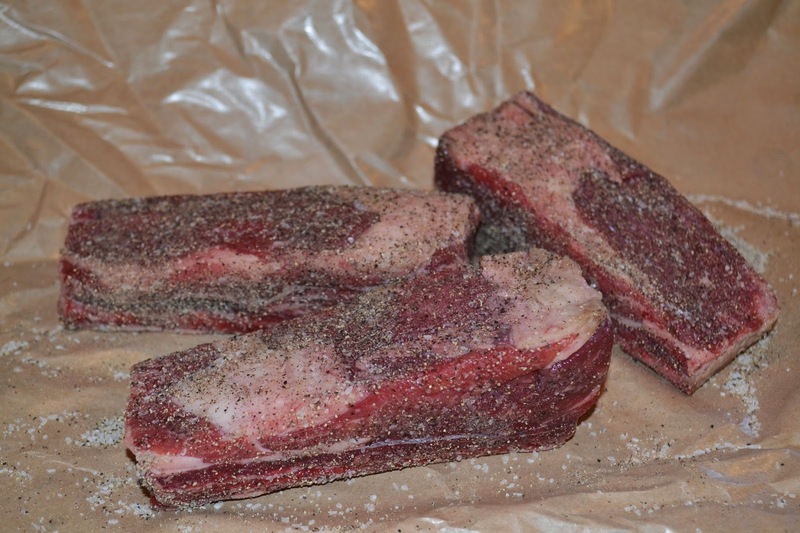 4.5 lbs - Beef short rib from our banjo playing hippie butcher. 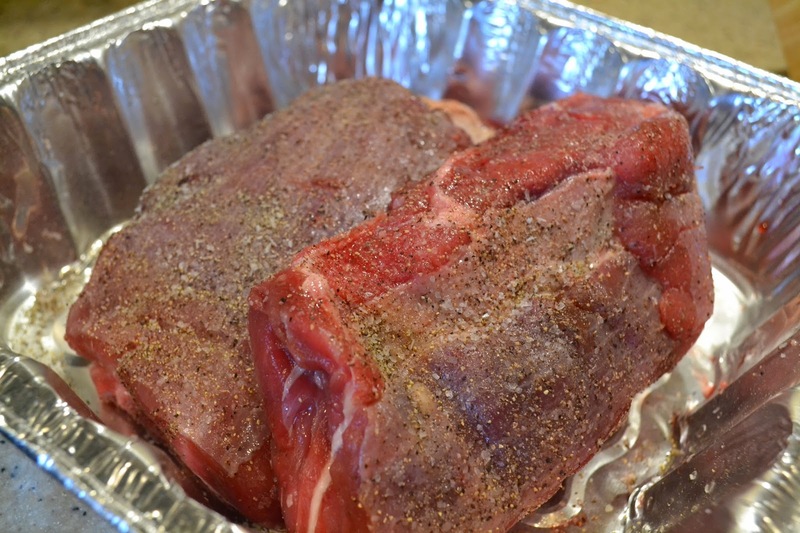 Rub the ribs with salt and pepper, heat the egg to around 240-250. 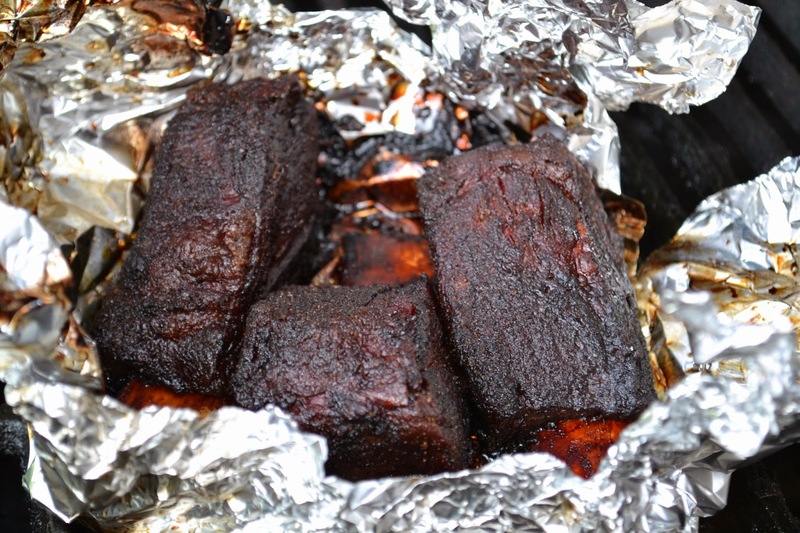 Install the plate setter and smoke the ribs with apple chunks for about 1.5 hours. My second attempt was simplified. I rubbed with salt and pepper about 1 hour before putting them on the egg and left them out to warm up to room temperature. The plan is to cook for 3 hours at 225 and them wrap, coat with honey and apple juice and then cook until tender. I am estimating another 3 hours this time but I will cook until it is tender or it is nothing but charcoal. Standby. Then place the ribs in a bath of apple juice, lemon and rosemary, seal with aluminum foil and cook another 2 hours or so. Then unwrap, mop with Fox Bros BBQ sauce and finish on the egg for about 10 min. 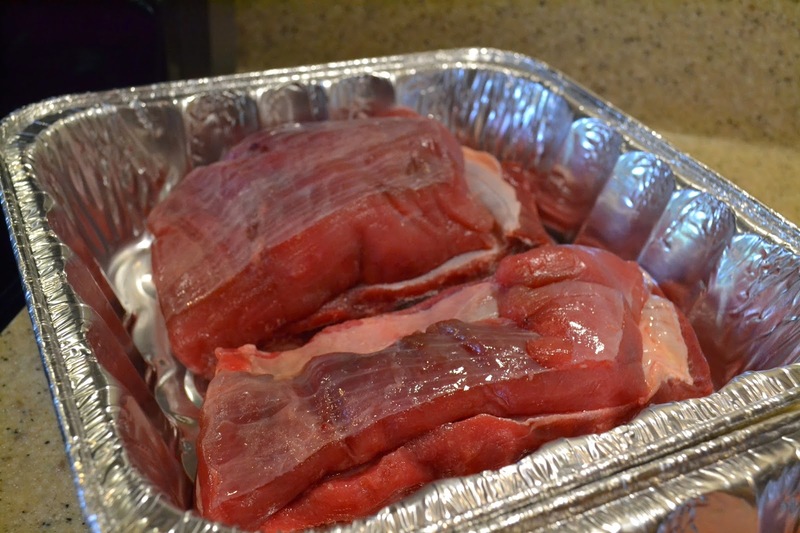 Finally, pull them, wrap them, place in a cooler and let rest for 1 hour. 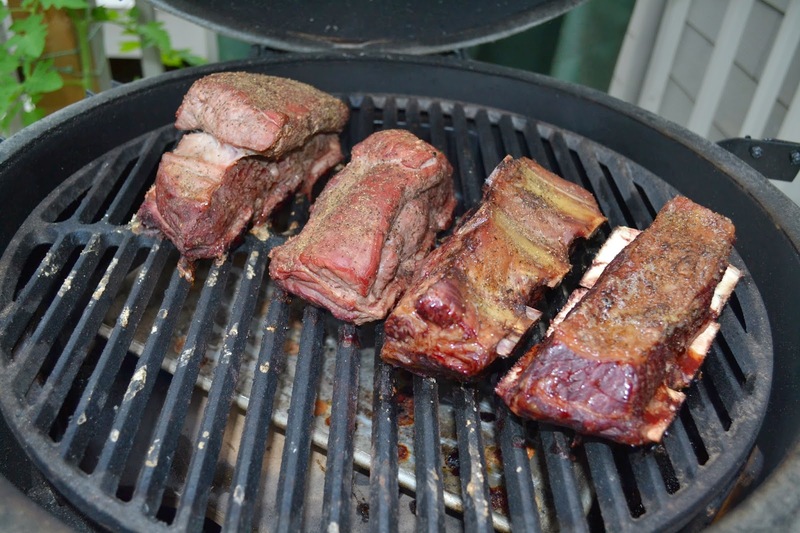 It is Memorial Day weekend here and we are going to try and make beef short ribs. 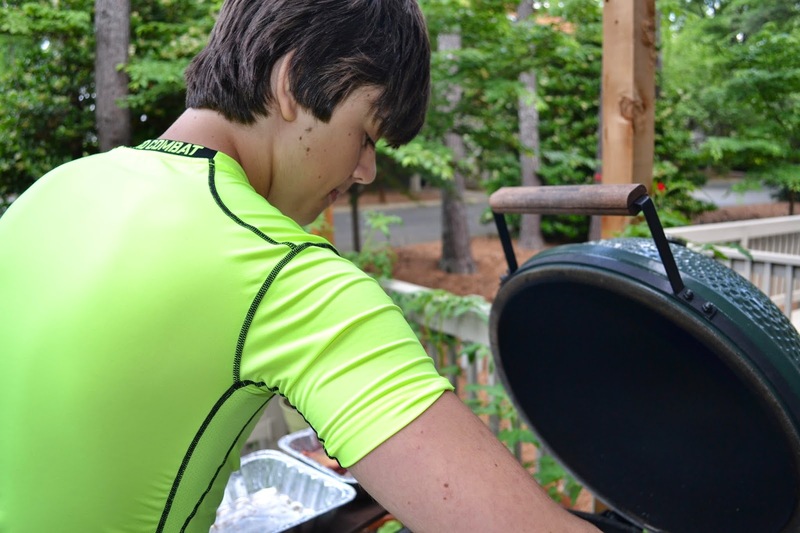 This is the first time that we have ever tried to make ribs on the Big Green Egg. Let's get going. and coated with salt and pepper al la Aaron Franklin. Placed them on the BGE with the plate setter in. BGE temperature is steady at 250. Time is about 3pm. Let's get the young men involved. 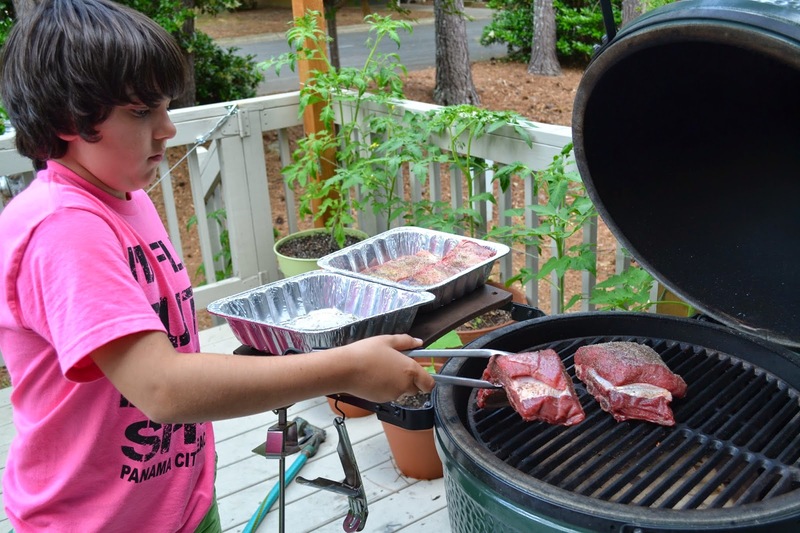 The next generation of Big Green Egg masters. Pull the ribs after 1.5 hours at 250. Place in pans that contain apple juice, rosemary sprigs, and lemon. 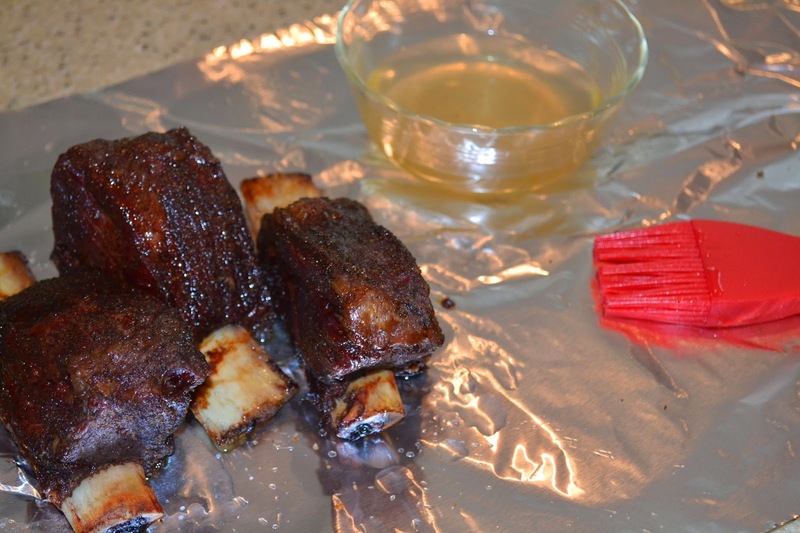 Brush the ribs with honey before placing in the mix. and place them back on the egg at 300 for another 1.5 to 2 hours until fork tender. We pulled them out of the stew at 1 hour and 40 minutes and I measured the temp at 189 degrees internal. They still feel tough. 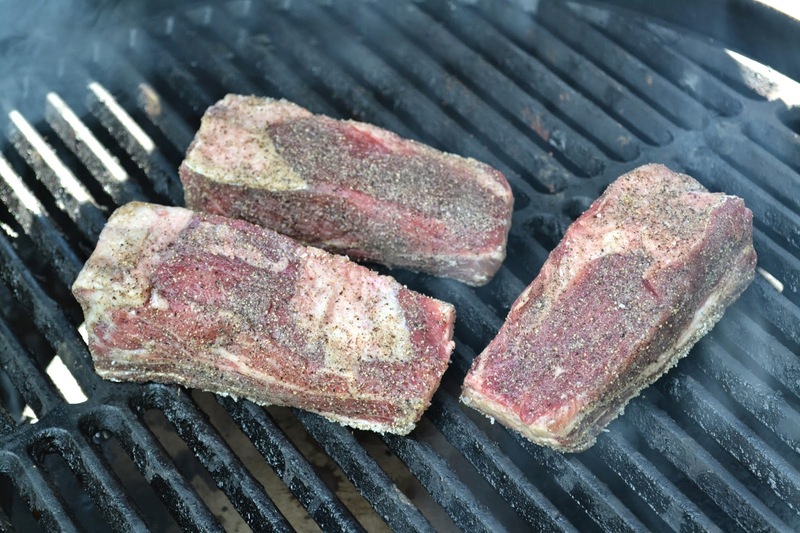 So I decided to place them on the grill for another 30 minutes or so to allow them to continue to heat until they reach an internal temp of about 200 to see if I can get the connectivity tissue to break down. Pulled the last two at 8:30. Sauced 10 minutes before removal and then put in the cooler to rest. Salted and peppered and left in room temp for 45 minutes. 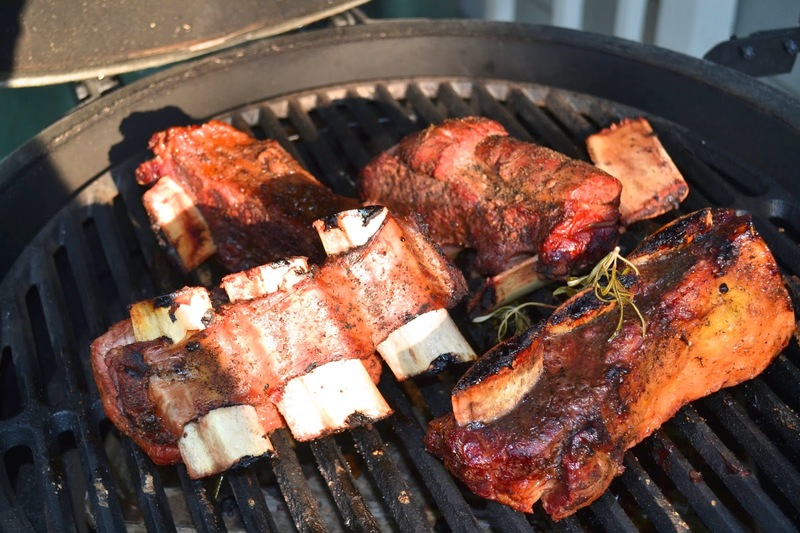 Ribs on the Big Green Egg at 11am. HOUR 1 - 12PM - at hour number 1 the grill is reading 320 or so but that is dome temp so I am closing the air intake to about 1/4"
HOUR 2.5 - 1:30PM - at hour number 2.5 the grill is still reading 320 bumped the air intake down a little more. Too much can put it out, so I am treading lightly. HOUR 3.5 - 2:30PM - pulled off the ribs and they smell great. 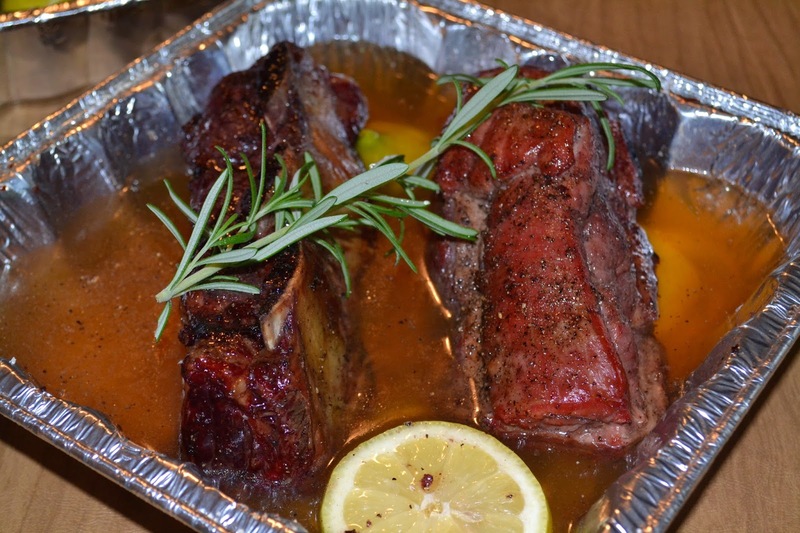 Painted with chardonnay and honey, wrapped in foil and then returned to the grill. Sealed tightly. HOUR 4.5 - 3:30PM - Temp holding at 280. HOUR 6 - 5PM - Temp holding at 270. Checked the "Pull" of the meat and it seemed really soft. Gives with the turn of the fork. HOUR 7.5 - 6:30PM - Pulled it off for 30 minute rest. Ask and ye shall receive? The power of prayer people. Not so much this time. This turned out 50/50 and that is being generous. The second batch that I let go longer were not good. Dry and tough. I'm not sure why. I'll do some googling around and update the next time I make them. The first batch that felt done and were tender were in fact, tenderish and really really good they just didn't pull off the bone like we wanted. They weren't what I was hoping for but received great reviews from everyone but I suspect they were sparing my feelings. Hold off making these for now. After doing some research it seems that I simply didn't cook them long enough. I will try this again soon. This time a will be following the advice of a very good blog that I found. Go here. The Lord works in mysterious ways. Prayers are answered in his time, not ours. Today, the Lord showed favor upon the BGE. All I can say is cook the red text. You probably could pull it off at hour 6 based on my warm cook but no damage done going a little long. 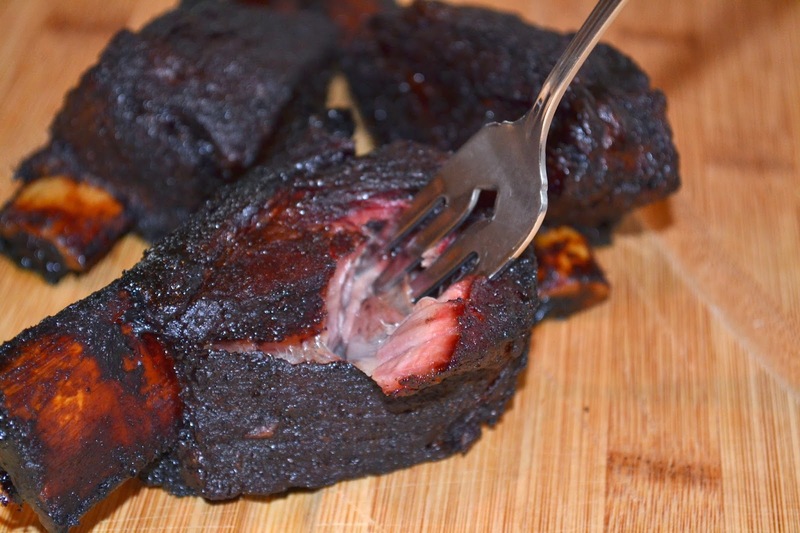 It was delicious, soft, tender, smoke ring and you could pull the meat with a fork. Though I am not much of a fan, Bobby Flay can make a pie. This is another Julie special that I merely lent a hand in. This was in fact an after thought in my mind but once complete, it was the belle of the ball. It seemed very complicated so folks, I would recommend doing this on an evening when you have your best game. That yankee Bobby Flay is trying to get into heaven by paying homage to the South and just in time for Derby Season. Good for him. This recipe is from the May 2014 edition of Food & Wine. Go buy one people. Life is short. Blind bake it. Yeah, I didn't know what that meant. Preheat oven to 400. 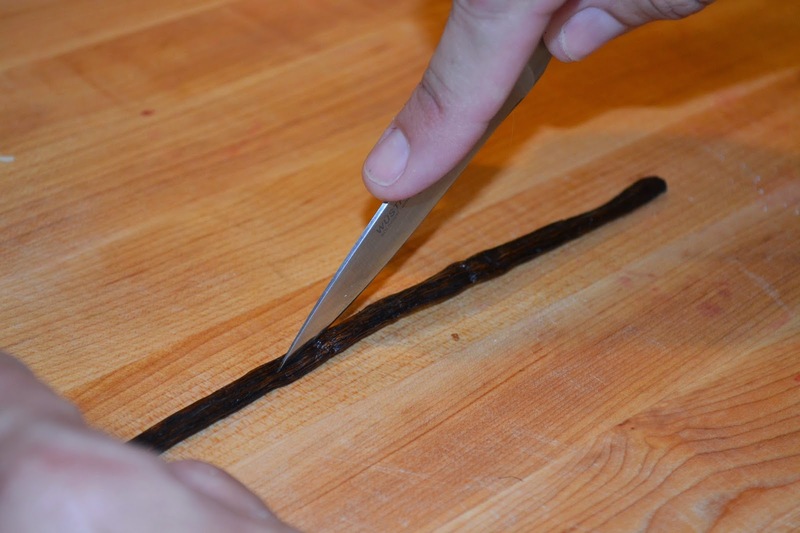 Line the crust with parchment paper then fill with weight (like beans) and bake for about 20 minutes. 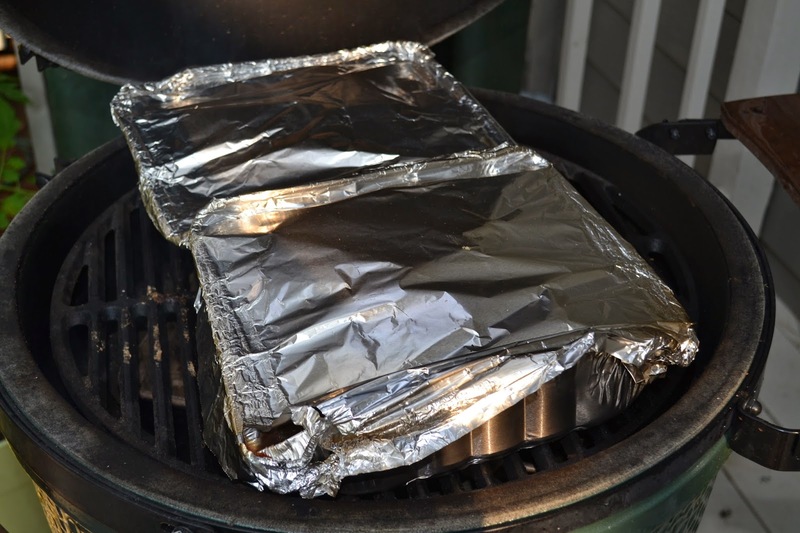 Remove paper and weight cover the edge with foil and back for 20 minutes longer until the crust is light browned. Let it cool on the rack and reduce oven temp to 325. 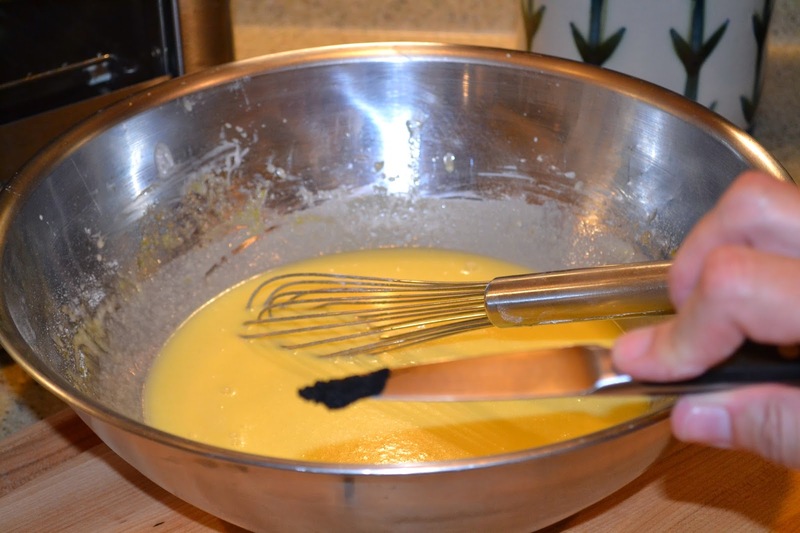 Whisk the eggs with sugar until pale. Add the buttermilk, butter, coconut milk, flour, vanilla seeds and both extracts and whisk until smooth, then stir in the shredded coconut. Set the pie plate on a baking sheet. 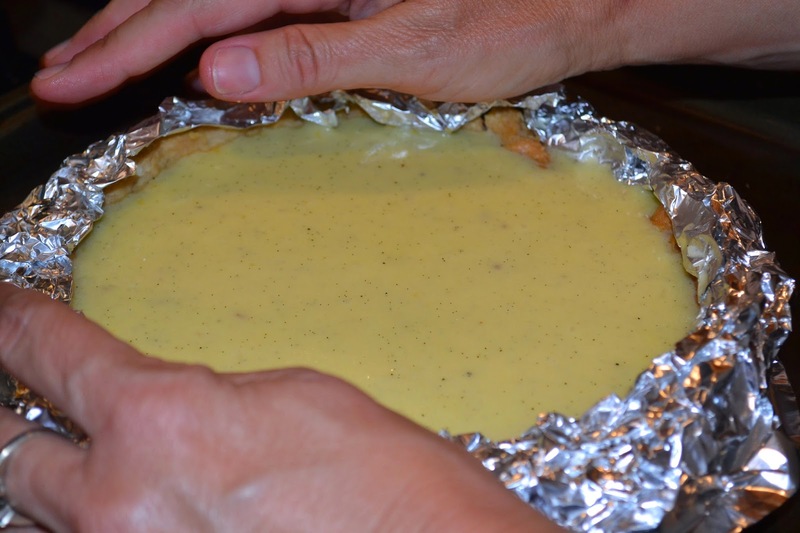 Pour in the custard and bake for 40 to 50 minutes, until set around the edge but slightly jiggly in the center. Transfer to a rack and let the pie cool completely. 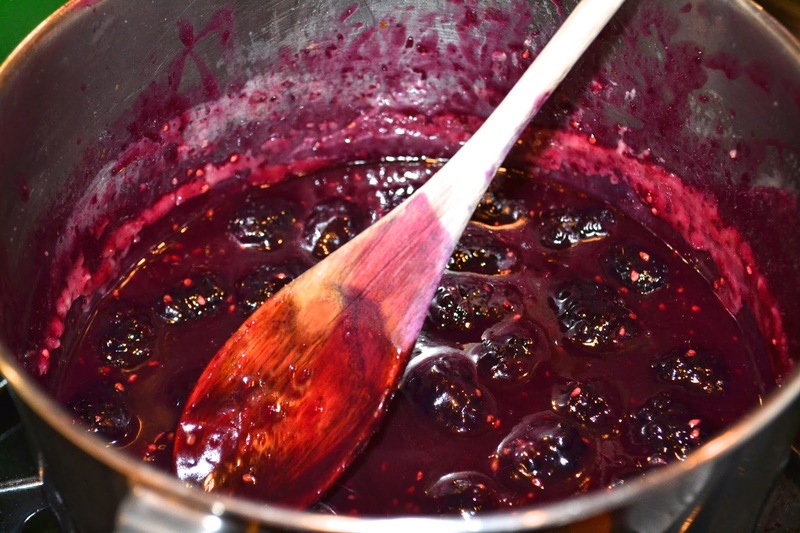 In a small saucepan, combine 1 cup of blackberries with 2 tablespoons of sugar and 1 tablespoon of water. 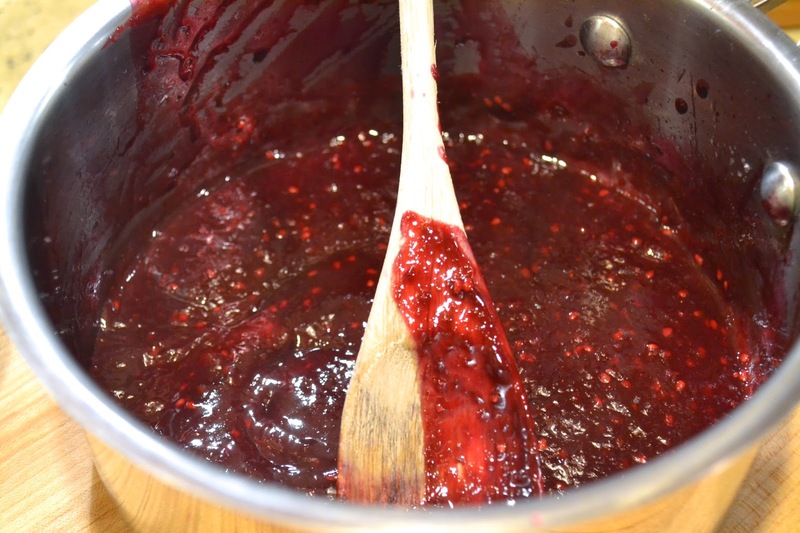 Cook over moderate heat, stirring occasionally, until the berries start to burst. 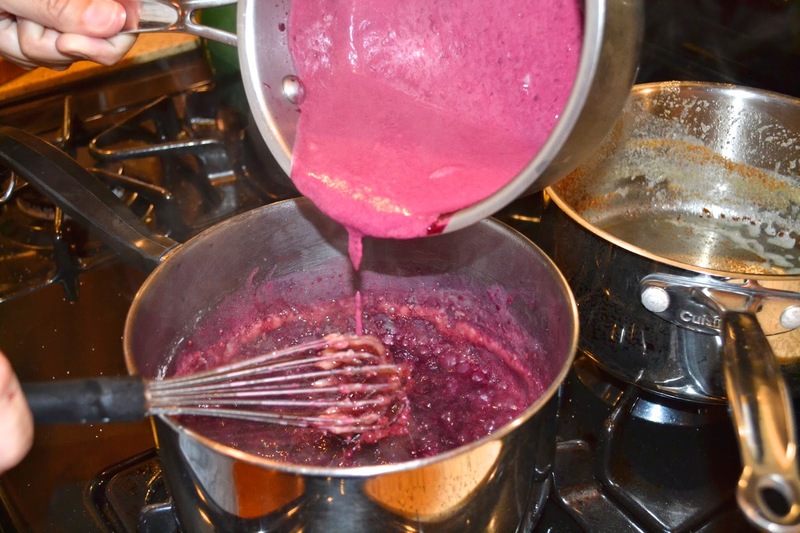 Transfer the berries and any juices to a blender and puree until nearly smooth. 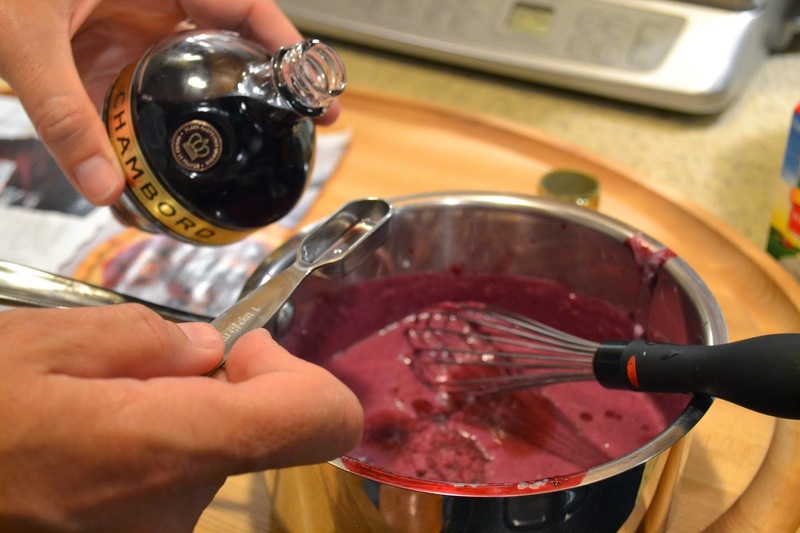 Transfer the puree to the sauce pan and let cool slightly, then whisk in the cream, blackberry liqueur, vanilla and salt. 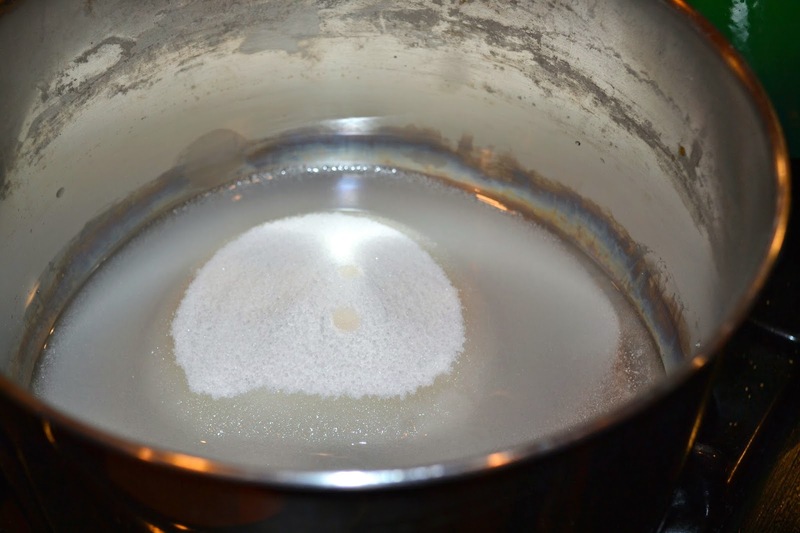 In a medium saucepan, combine the remaining 3/4 cups of sugar with 1/4 cup of water. 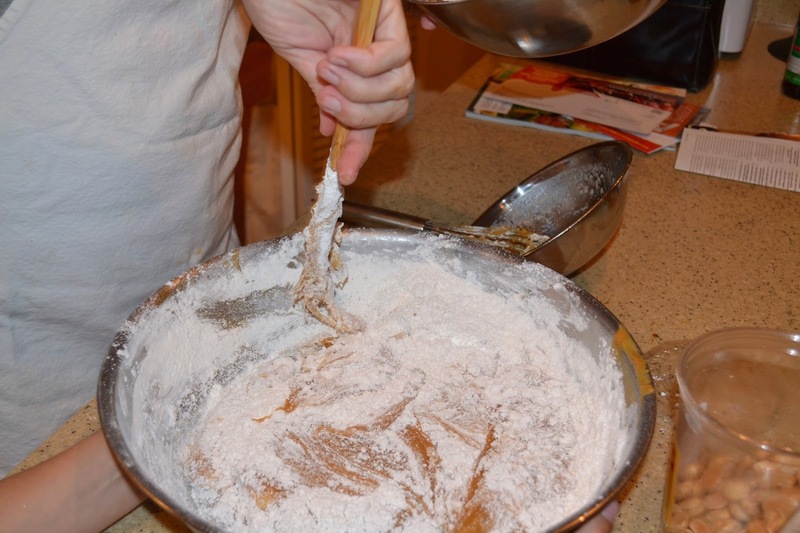 Cook over moderate heat, swirling the pan and brushing down the side with a wet pastry brush, util the sugar dissolves. 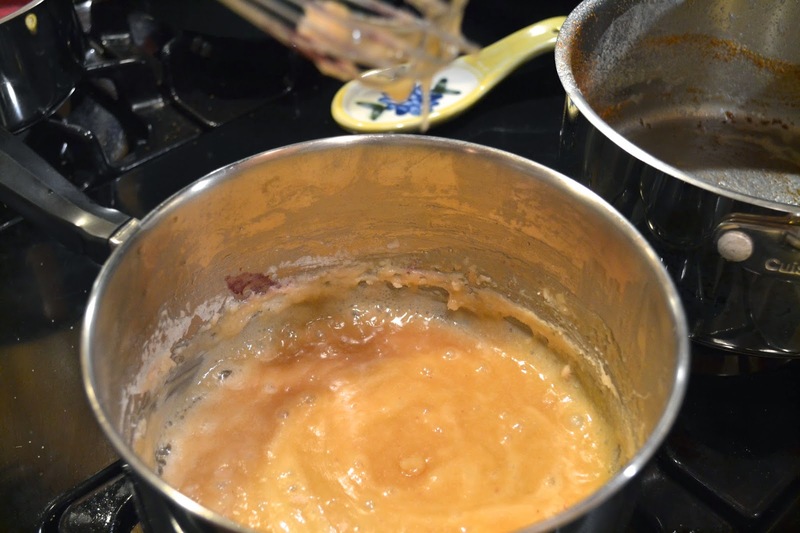 Cook undisturbed until an amber caramel forms, about 7 minutes. 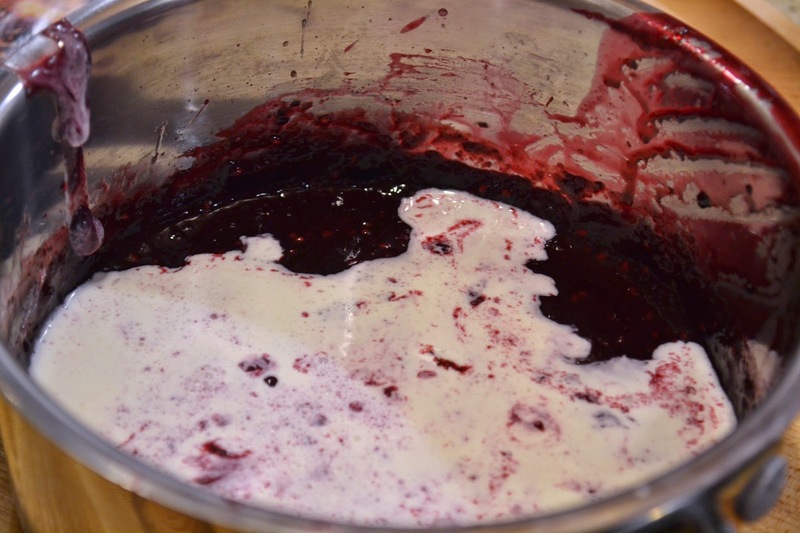 Add the blackberry cream (be careful, it may boil vigorously) and simmer, whisking until the caramel is smooth, 1 to 2 minutes. 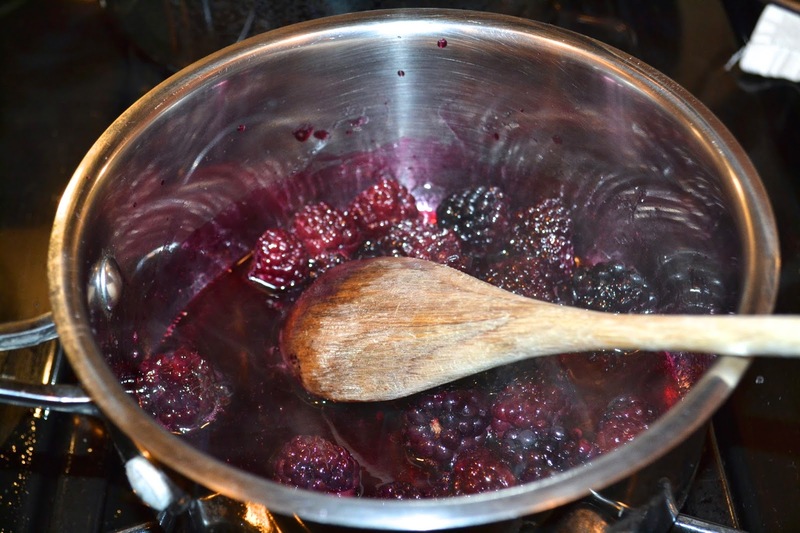 Let cool slightly, then stir in the remaining 1 cup of blackberries; let cool slightly, then stir in the remaining 1 cup of blackberries; let cool to room temperature. 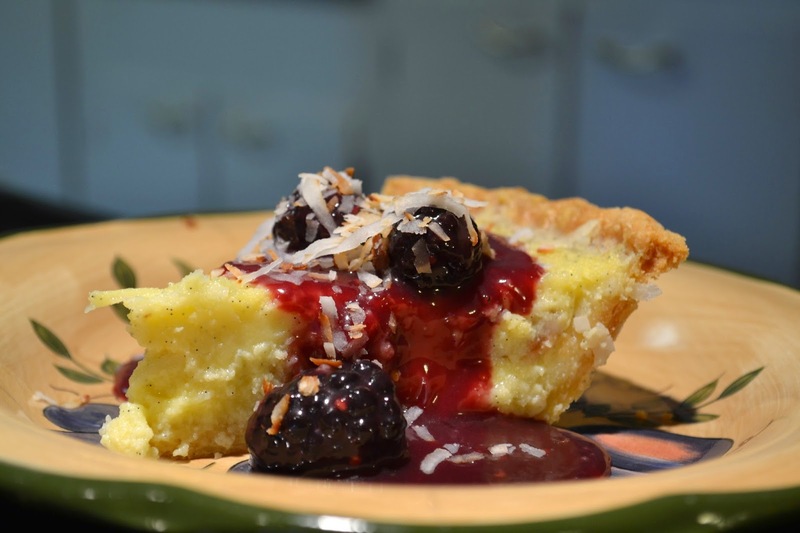 Cut the pie into slices then garnish with blackberry goodness and toasted coconut. Make this one, as I mentioned earlier, it was the belle of the ball. Much better than expected. In fact, the blackberry goodness seems like it would be a great addition to almost every sweet thing I have ever made. So, the diet isn't going so well. We decided to cast aside the shackles of calorie restriction for an evening of indulgence. Good people, life is a balance, and we think we've earned a bit of a break. Maybe it will guilt me into running a little harder. Who knows? 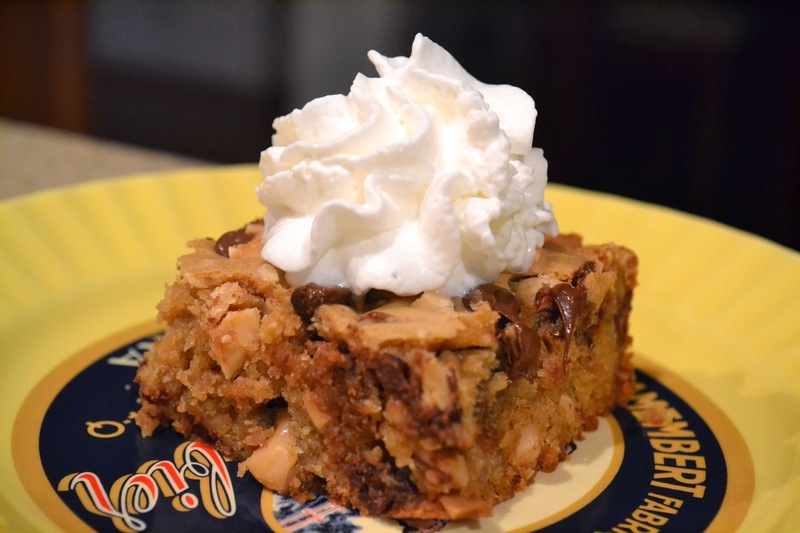 Having a taste for brownies, we discovered a great recipe in the February 2014 edition of Food & Wine magazine by none other than James Beard best chef midwest, Jose Garces. A brownie with salted, olive oil toasted marcona almonds. Folks, how can this be bad? Let's try and make it. Then follow the directions under execution. I'll save us both from being overly redundant. You are welcome. First, let me thank Julie for making this. This was almost solely her project from start to finish. I lent a light hand but mostly took the photos and drank the wine while sort of watching the movie in the other room. Can you guess what movie? Do you know what I'm say'in? Preheat the oven to 325. Lightly brush a 9 x 13 inch metal baking pan with butter. 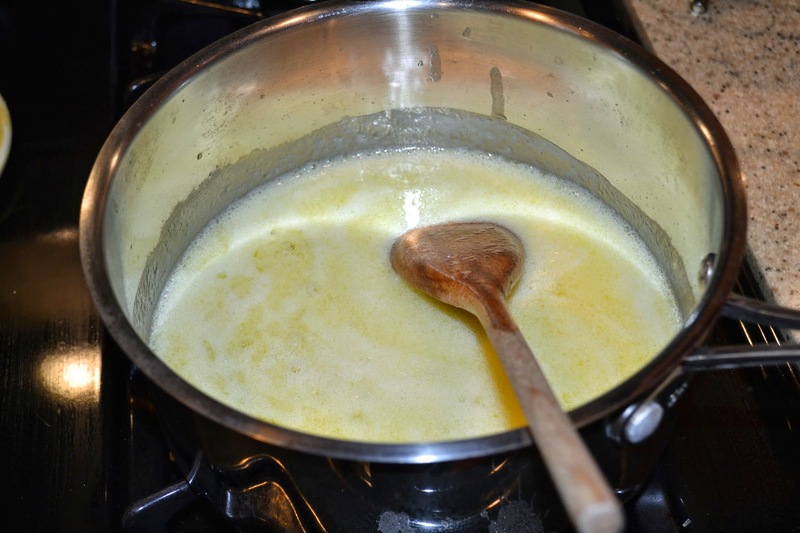 In a medium sauce pan, cook the butter over moderate heat until golden brown, about 5 minutes. 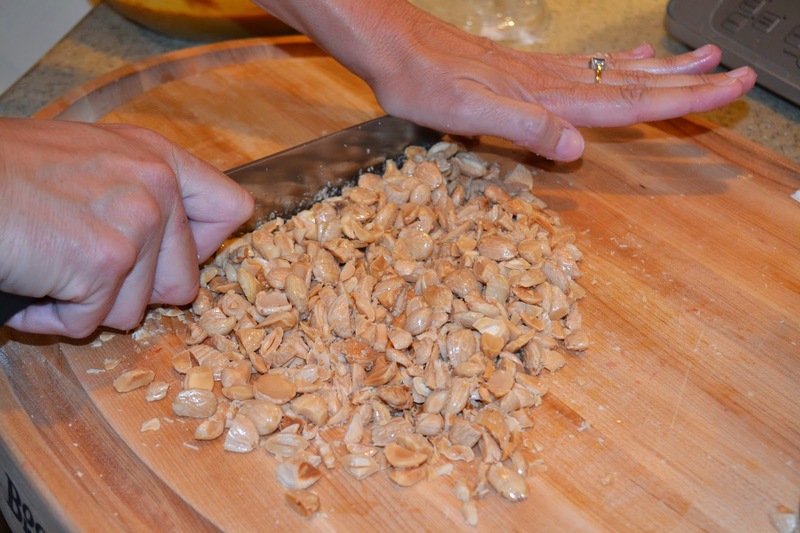 Transfer to a large bowl and let it cool to room temperature, 30 minutes. 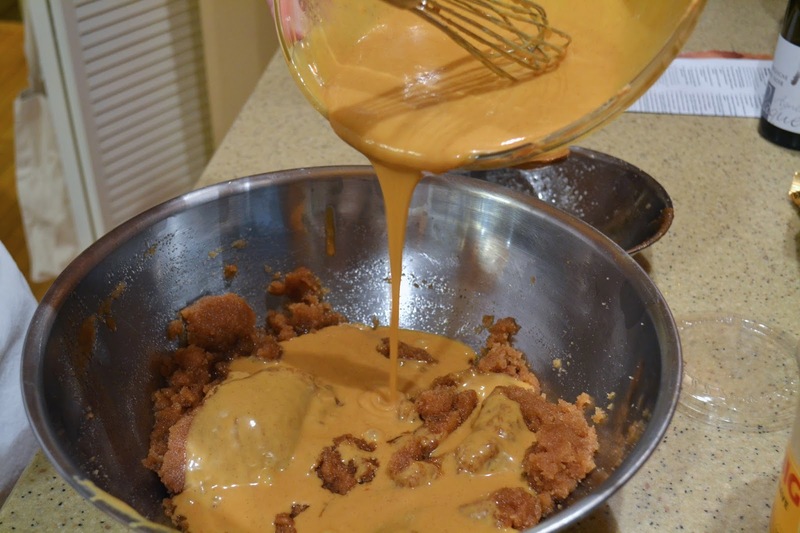 Add the sugar, eggs, almond butter, vanilla, salt and cinnamon to the butter and whisk until smooth. 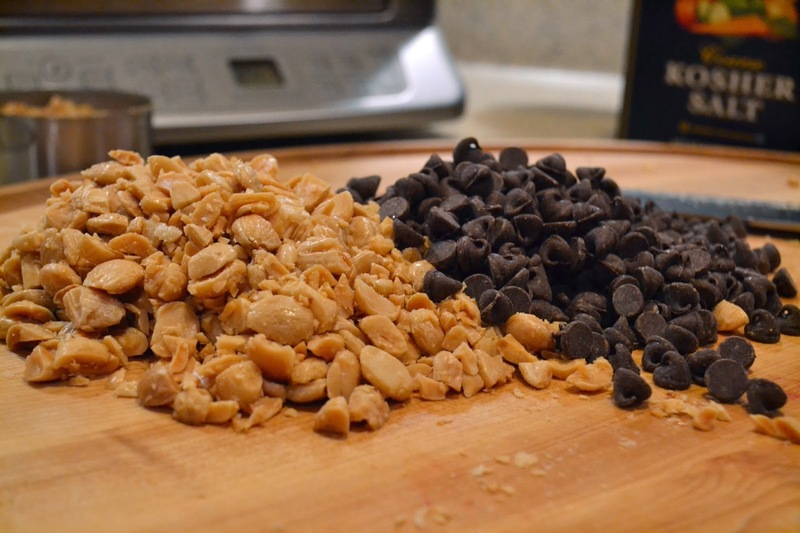 Stir in the flour, then fold in 1 1/2 cups of almonds and 1 1/2 cups of the chocolate chips. 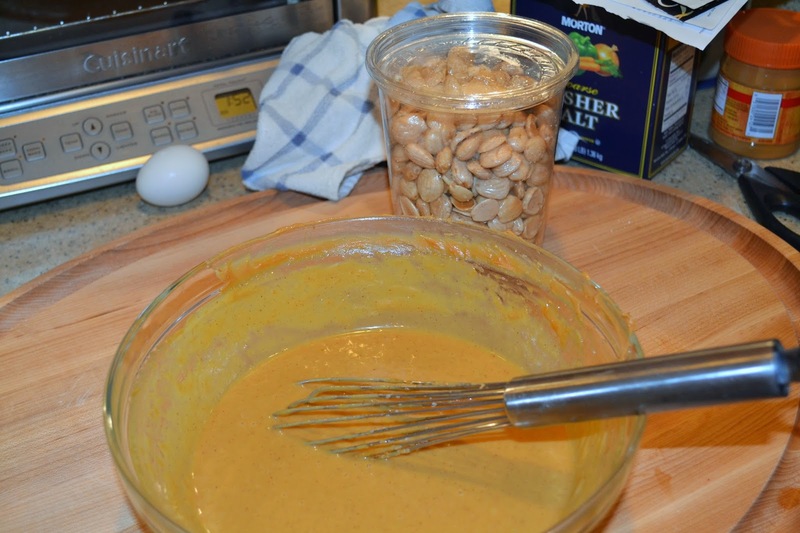 Scrape the batter into the prepared pan and spread it evenly. 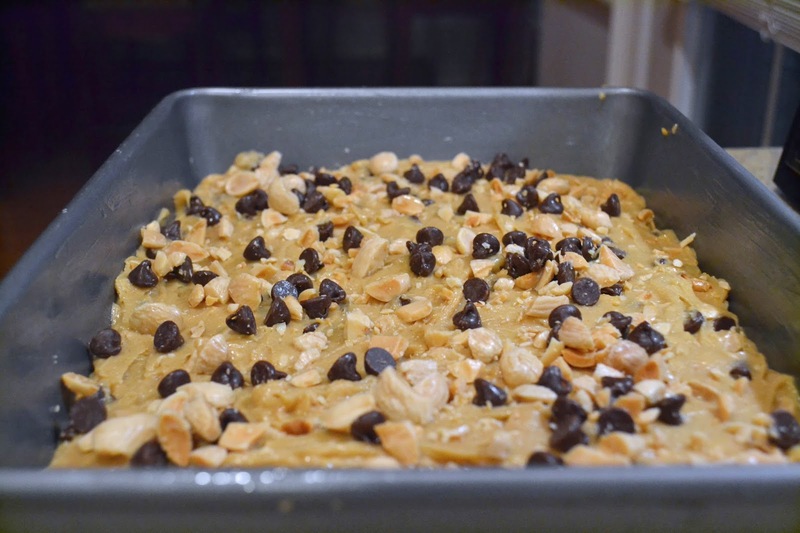 Scatter remaining almonds and chocolate chips on top. Bake for 1 hour until toothpick comes out almost clean. Remember, this is a brownie, so it won't be as clean as a cake. Don't overcook. 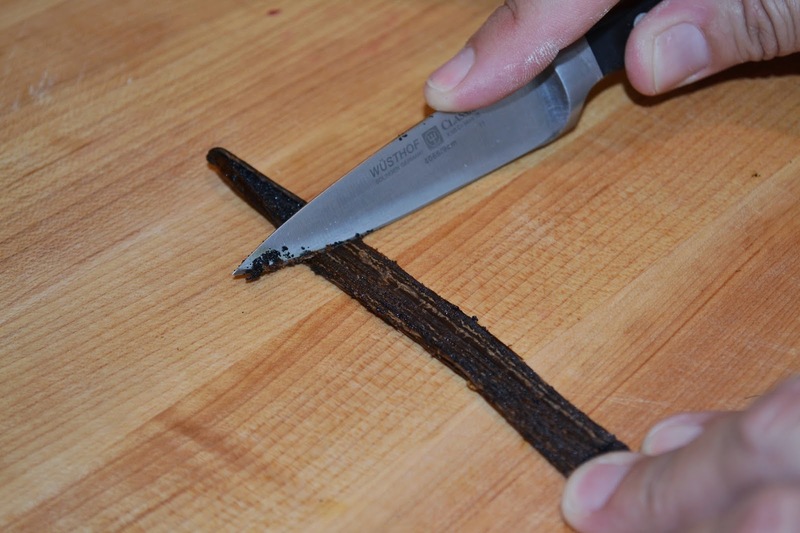 Then transfer to rack and let it cool completely before cutting. 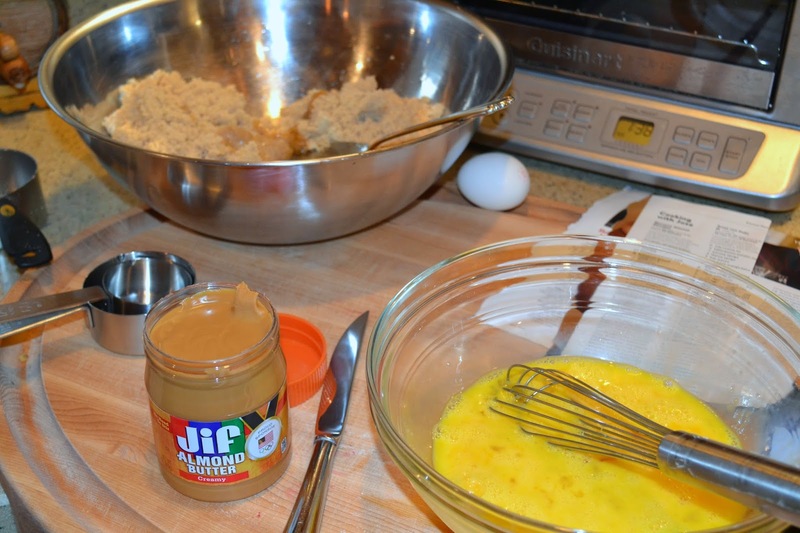 This will make you want to punch Betty Crocker in the mouth. Don't waste your calories on crappy brownies. Make these! They are delicious -- one of those special treats with many layers of flavor, with a sort of deep-down goodness that you don't get very often in the fast food world. So special that even Scotty P would be rendered speechless.